Open your PuTTY Key Generator, it was installed when you installed PuTTY! 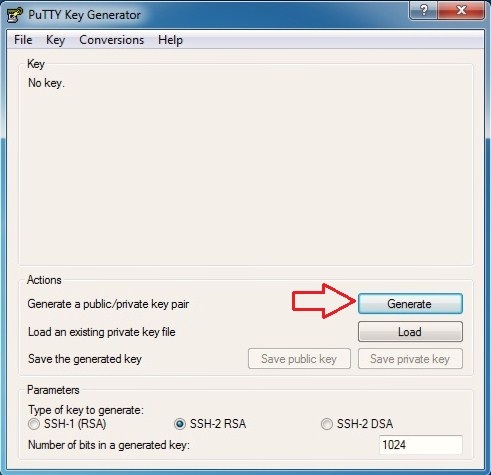 When the private/public key pair has been generated then you will need to save the public key and private key to your computer. Save it in a safe place! Paste the public key into your file. It may paste over in 3 lines, make sure its on a single line, this is very important!